Frank & Sons Masonry Ltd.
Frank and his team did a great job replacing our crumbling brick sills with limestone (11 windows/42 linear feet). They also replaced 25-30 various other bricks, fully parged our raised foundation, and repaired poorly done mortar (by the builder) at our front entrance. 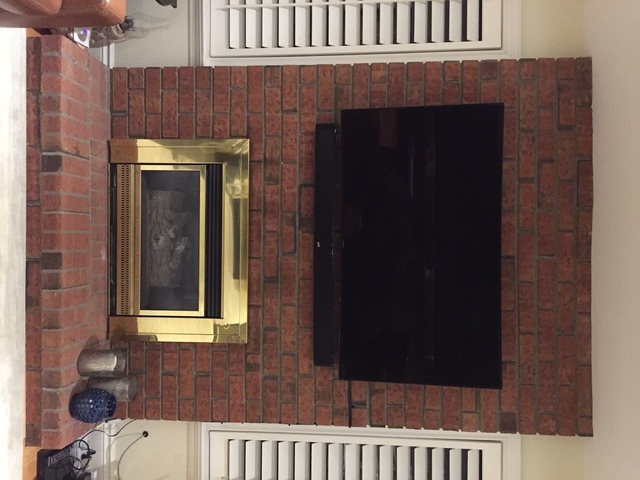 That said, the work we love the most is what he did on the inside with our fireplace transformation (before & after pic's attached) - just awesome! From his very approachable personality, to his great work ethic and competitive rates, we would wholeheartedly recommend Frank for any brick or stone work. Thanks again for the compliments. Job turned out great and I was very happy with the hospitality shown. Thanks again for choosing Frank and Sons masonry. Although all 3 of the contractors we reached out to had good references, we just felt more comfortable with Sam. In the end, our sense regarding his work ethic and high standards turned out to be right. Sam and his team invested quite a bit of time excavating in order to build a thick, well compacted, properly graded base. This was particularly true for the side stairway and backyard, as both these areas were clearly suffering from poor bases. It turned out that whoever last did the interlocking provided only 2-3" of screening with little or no gravel. Although the whole project took a few weeks longer than expected, we're very happy with the final product, and would whole heartedly recommend Sam/Stoneville to friends & family. I chose Golden Valley Decks for 3 reasons. 1. 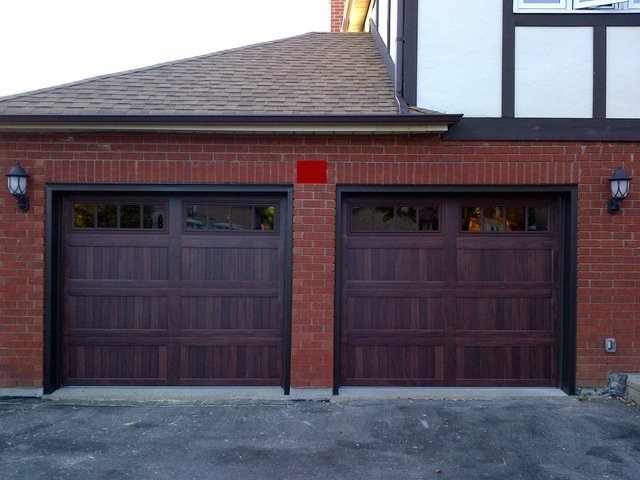 Experience - Ryan and his team have tonnes of deck building experience using a variety of materials, including my choice of material - Ipe. He's also on Home Depot's vendor referral list, which in my view says a lot about his ability to manage projects. 2. Personality - Friendly, open, honest, accommodating (we made a few design changes along the way) and just an all around great guy to work with. 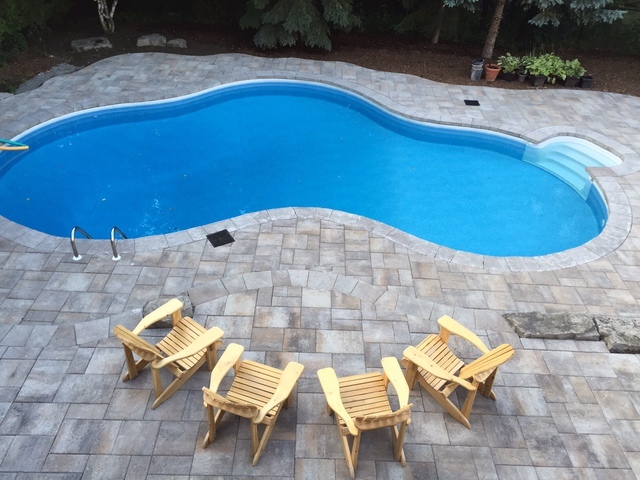 This was a big deck (12 days construction), involving a difficult to handle hardwood, a rain diverting system (Trex Rainescapes) and a few other uncommon design items. I'm also a very 'involved' home owner, asking questions throughout the construction process which Ryan always handled with total professionalism. 3. Cost - Ryan is more than reasonable in what he charges. I did my homework, and can say without hesitation that Ryan is the only deck builder I'll ever call again, although given how this deck was built I'm not sure I'll ever need to build another deck, but will certainly and enthusiastically refer Ryan to any family and friends looking to build a deck. Thanks! Sam! It was pleasure working with you! Enjoy the new deck! Btw,those attached pictures are amazing! Adrian Ali, Owner of Rotarex Construction, has disappeared with nearly two thirds of my deposit. After running into some personal issues, it became clear that he wasn't going to be in a position to build my deck. Having spent my money, he advised that he needed 6 weeks before he could start paying me back (in instalments) - I agreed, this was mid-February 2015. It's now May 19th, and the last instalment I received was on April 20th. Adrian still owes me nearly two thirds of the deposit, but his website http://rotarex.weebly.com/ is not longer up, and he hasn't responded to any of my follow-up emails in weeks. I guess he's gone, probably pop up somewhere with another business name, who knows. This was a life lesson for sure, as after this costly experience I'm never going to pay a deposit for materials I can acquire myself. I love dealing with owner/operators because of how hard they work to build and maintain their reputation, and Fred completely fits this description. From our initial conversation to his prompt visit, including clear explanations on some aspects of maintaining our Lennox furnace and finally, his super fair/competitive price, I know I've found an HVAC professional for life. Majestic Indoor Air is the real deal, and so I'll be handing out their business cards to everyone in my family. 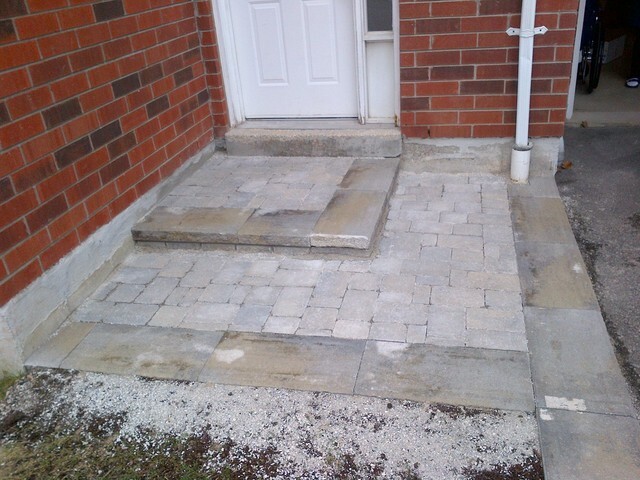 Celeste was one of 3 landscaping companies I contacted for a small (but important) front door landing job needed to build up a sinking exterior landing and replace the ugly builder installed patio stones with some nice interlocking. The area was also made larger to allow for a second landing, cutting the riser height in half for an elderly parent. Of the 3 companies I called Alex was the most prompt, professional and understanding of our needs - which coupled with a competitive price made the decision easy. I now have very happy parents who love their extremely well built front door area. It was a real pleasure dealing with Alex & his partner Leo - these guys are really terrific hands on business owners. Thank you for your business. We appreciate it and are glad to hear that the work is being enjoyed by your parents. Regards.